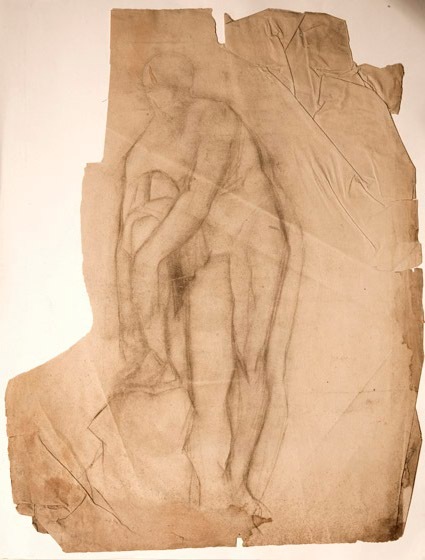 This very simple and unfinished sketch is interesting for the obvious attention Trego was giving to the musculature of the figure’s left leg. It apparently dates to his days at the Pennsylvania Academy. The paper is discolored and brittle. There are creases and tears and material missing from all four edges.